I wanted to write this review entirely on the B115 unit, to replace my existing laptop with it for the duration of my testing. I took it through a series of tests and rigorous use, but I just could not stand using it for more than an hour at a time. It’s meant for a little usage here and there - editing a document, checking email, and anything else that isn’t completely hindered by its 11.6” screen. You get what you pay for, and it turns out $379 (about £243, AU$466) can only get you so far, even on Windows. Model: The Acer Travelmate B115-MP-C2TQ is a wallet friendly netbook primarily aimed at students and business users looking for high portability. The 1.4 kg netbook comes with a responsive keyboard and trackpad and features touchscreen capability making it an impressive package at the price point. Its glossy 11.6 inch IPS display has an aspect ratio of 16:9. The hardware consists of an Intel Celeron N2930 processor clocked at 1.83 GHz, 4 GB DDR3 single-channel RAM, Intel HD Graphics and a Seagate Momentus thin hard disk with 420 GB storage space. Audio output quality is decent with an Intel ValleyviewSoC-HD audio controller driving stereo speakers. Other features include 2 USB 2.0 ports, 1 USB 3.0 port, a HDMI out and a SD card reader. There is also an HD webcam to aid in video telecommunication. 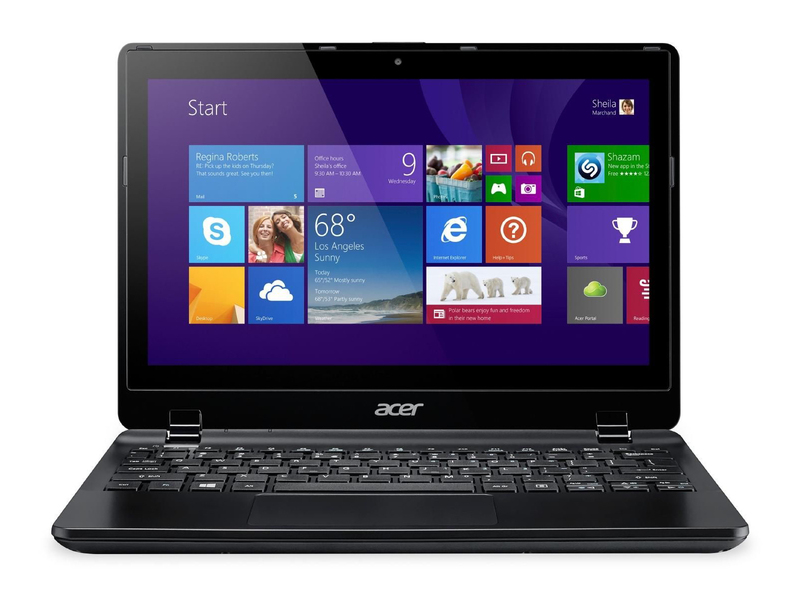 The Acer Travelmate B115-MP-C2TQ comes with Windows 8.1 Professional 64-bit. The battery life is good with a Lithium-Ion battery powering the entire system. In conclusion, the Acer Travelmate B115-MP-C2TQ is a great device for web surfing and occasional office work. N2930: Soc with an integrated quad core Atom processor clocked at 1.83 - 2.16 GHz (Turbo) and an Intel HD Graphics GPU.» Further information can be found in our Comparison of Mobile Processsors.